I thought I was just beginning to reach some uncharted waters with BLACK ANVIL when I recently reviewed their album Hail Death because they were one of the very few black thrash bands that I have ever listened to, but SERPENTINE PATH welcomed me back to unfamiliar territory with their take on a doom death metal sound for their album Emanations. While I am not big on doom metal to begin with, I decided to give this a listen just like I do with every other album that I get for review. The quick conclusion is that I am still trying to figure out exactly how I feel about the album. Throughout this review, I’ll try to explain that better to the loyal A&GS readers. First of all, this record is short in the quantity of tracks department, which means absolutely nothing most of the time. In this case, it did end up meaning something to me because after I listened to the seven tracks on Emanations, I felt like I was waiting for something more each time, as if it just should not have been over quite yet. 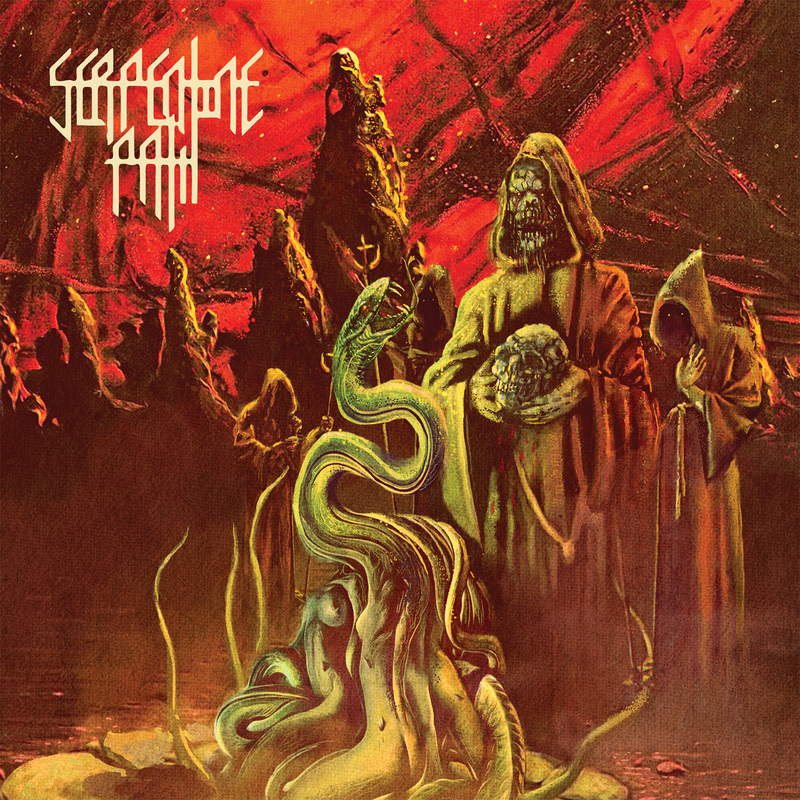 SERPENTINE PATH starts the album with a very sludgy, doom metal sound musically, which would have been nicer if the production quality had been better for the album. To me, it sounds like there is potential for this record to be better than it is if the production was just tighter. Yet I had the overwhelming feeling that the repetition of the doom metal overtook the death metal sound that I was patiently waiting for. There are good lingering riffs that exist in this short album, so that is a nice little nugget to look forward to, but I just think the sound that the band was aiming for could have been cleaned up a little more so I could appreciate it more. Now, I am one to fully support the fact that music is 100% subjective, but for me, the album just did not make me want to go back and repeat any songs that jumped out at me. I’m not writing off SERPENTINE PATH yet though, because I do feel that the album won’t get the credit it deserves from me mostly because of the shoddy production and mixing. The bass on the album is overpowering the rest of the band. In fact, I find that the guitars and bass are more apparent than even the vocals. Yes, I know that is to be heavily debated and disagreed with, but I know that SERPENTINE PATH is a band that has real talent because of the musicians in it. For example, let’s take Tim Bagshaw who founded ELECTRIC WIZARD. Very few bassists come to the forefront of a bands sound, but in this case Bagshaw cannot be tuned out. Emanations is out now on Relapse Records, and I would have been more into it if the tempo picked up at least some of the time. I understand that the point of doom metal is to play the slow, repetitive riffs with progression, but I just felt like the album was too slow for my taste. I needed more of a death metal influence to like it more. Some bands do release records for a certain genre crowd and maybe this is SERPENTINE PATH‘s doom metal album, but I would really like to see the death metal aspect emerge more on future recordings.